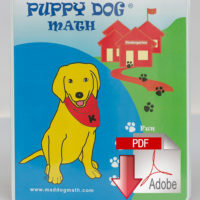 View cart “Classroom Mastery PDFs – 1st Grade” has been added to your cart. 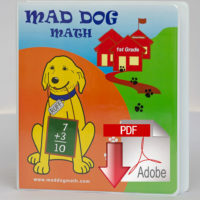 Subscribe to Mad Dog Math - ANYWHERE to give your child access to all levels of the Mad Dog Math drills on your PC, Mac, or Tablet's web browser! 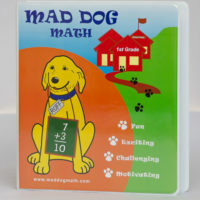 Teach your students Mad Dog Math and watch them build confidence, achieve A's, and get into the college of their choice. You sent out the challenge and Kyle went from 9 division last Friday to FINISHING HIS 30 SECOND CLUB this Friday!!!! In a week!!! I couldn’t be more proud of his hard work! He didn’t know if he could do it, but he went for it, head down and finished! Thank you for the challenge and encouragement. We were remembering the beginning of the year when he was in tears over finishing his 2’s in 2 minutes. It seemed impossible to finish the 2 min. club. And now to have accomplished this?! 30 seconds?! So awesome! What a great foundation in math and great confidence he has and also an awesome life lesson in that we can accomplish great things with Christ and with hard work! Thank you again! 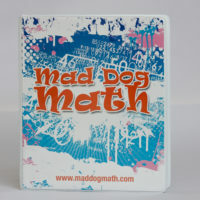 Thanks to Mad Dog Math, my son, who is a sixth grader at a public school, is in honors math! 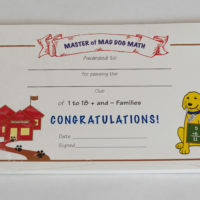 I believe with all my heart that the equipping of good math skills he received in third grade using Mad Dog Math has given him the confidence and skills to achieve higher levels of learning. 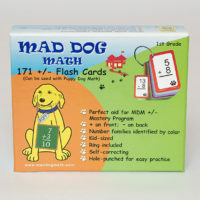 Using this methods to acquire the basic math facts will give your child a greater learning advantage. 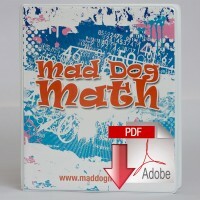 I have used this excellent, easy-to-use math program with fifth graders, and now with adult ESL students. Both thoroughly enjoyed learning their facts this way. It’s fun to have so many smiles. 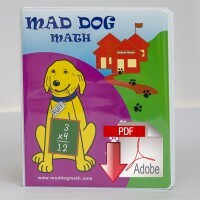 We had our first “Mad Dog Math Day” with indoor and outdoor activities centered around math. 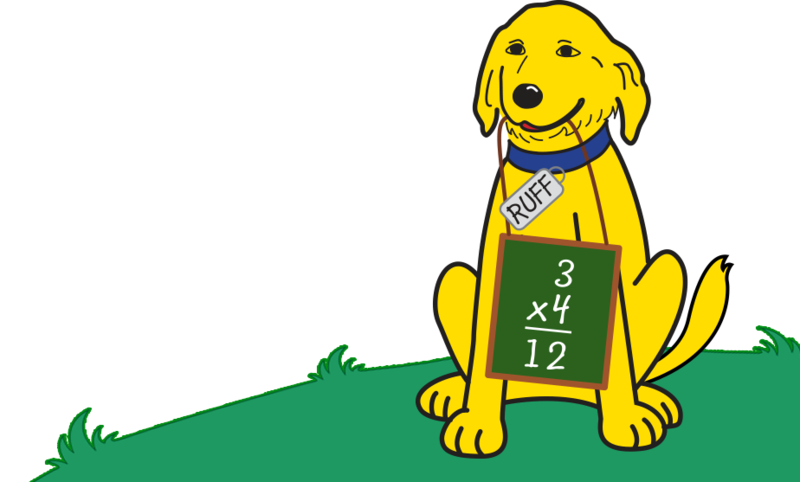 We had a “steal the bone game” outdoors in which lines of first graders tried to be the first to steal the bone if the number problem ended up with their number. We had a variety of indoor math activities. 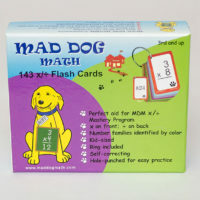 We also had “Mad dog chow” and munchies at the end of the day. Corn Dogs helped with the dog theme for a snack. Students wore long dog-like ears with their own dog name which became their name for the day. 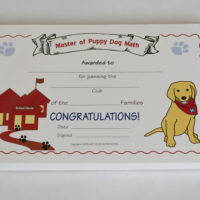 One student’s mom reported he wore the ears home and all evening kept them on until bedtime. He even wore them out shopping with his mother. 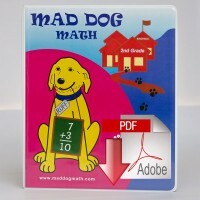 The students loved it and behavior problems were at a minimum. Because Mad Dog Math is part of my children’s daily routine, neither of them struggle with their math facts (addition, subtraction, multiplication and division). 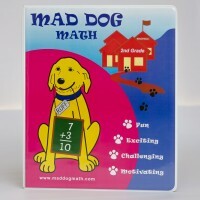 Thanks to Mad Dog Math, Angelica (7th grade) and Reagan (2nd grade) are performing beyond their math skill levels. 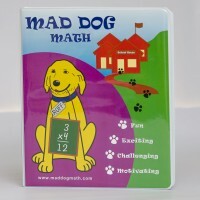 As an Educator: My 27 students had exceptional math skills (multiplication and division facts) when they came to 4th grade because they were exposed to Mad Dog Math in 3rd grade. 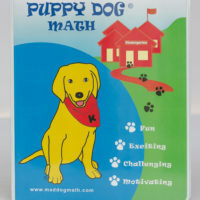 Fourth grade math was easy for most of them and SAT scores in math were way above average. 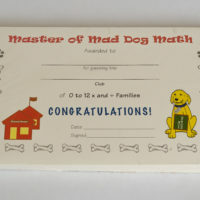 Mad Dog Math Works! 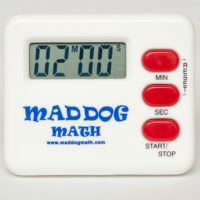 "…numbers may be said to rule the whole world of quantity, and the four rules of arithmetic may be regarded as the complete equipment of the mathematician."